The New York Jets and Pittsburgh Steelers will meet on Sunday at Heinz Field. The Jets and Steelers are both teams that are projected to be battling for a wildcard or possible divisional title out of the AFC. New York comes into the game with a 1-0 record; after blasting the Buffalo Bills in week one. Pittsburgh, the home team is 0-1, after losing on Sunday Night to the Broncos. That is nothing new for the Steelers, who lost their season opener a season ago to Baltimore. New York scored a NFL high 48 points in their opening game. Bet on this game at our favorite NFL bookmaker! The Pittsburgh Steelers need to find away to not only move the football, but get into the end zone. In week one, the Steelers was without their top running back Rashard Mendenhall. Mendenhall is questionable for this game. The Steelers turned to Jonathan Dwyer and Issac Redman who combined for just 63 yards on 20 carries. Pittsburgh allowed Peyton Manning and the Broncos over 330 yards of offense in the loss. 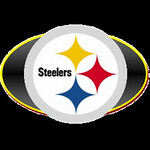 That is rare for a Steelers team that usually prides themselves on being one of the best defensive teams in the league. The Steelers are in the AFC North, where Baltimore was the only winner in week one. Pittsburgh may also be without linebacker James Harrison, who also missed week one. Will the Jets Offense Show Again? The New York Jets have seen plenty of attention regarding their offense. After not scoring with their top offensive group all of the pre-season, the Jets came out and poured in 48 points last week. Mark Sanchez looked good, completing 19 of 27 passes for 266 yards and 3 touchdowns. His top target in week one was Stephen Hill, who caught 5 passes for 89 yards and 2 touchdowns. 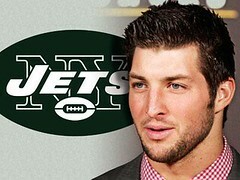 Tim Tebow, the back-up quarterback did not get a lot of action in the game. New York’s running game was Shonn Greene, with 27 carries for 94 yards and a touchdown. The Jets cornerback Derrelle Revis is questionable with an injury for this game. Ready to make your Jets/Steelers pick? This bookmaker has great NFL odds on this game. Pittsburgh comes into this game as the favorite. Oddsmakers have placed the Steelers as 6.5 point favorites. The line has not moved much, and indications say it may not. This is a tough game to pick; but we are going to bet the New York Jets +6.5 in this game. We feel Sanchez will continue to play well, and the Steelers defense just has not quite found their groove yet. In saying that, we are betting the Pittsburgh Steelers to win this game straight up. The moneyline has Pittsburgh -155, and that is what we like for this game. The total for the game was set at 41.5. While both teams have shown the ability to stop teams, scoring in the NFL is going up. Look for both teams to score more than their quota, and this came goes over. We are going to make a prediction of 24-20 Pittsburgh in this game. We like New York +6.5, Pittsburgh moneyline and the over 46.5 for Sunday afternoon.